The AS280 is a compact, quietly efficient, semi-automatic system that processes mail at speeds of up to 65 pieces per minute. The system comes with access to our exclusive IntelliLink® technology for recrediting your postage system. The AS280 can print a return address on your envelope, so undeliverable mail gets returned. This quickly improves the accuracy of your mailing database and reduces expenditure on subsequent marketing campaigns. Even when not in use, the AS280 minimises your costs. After a period of inactivity, it automatically enters a low-power sleep mode, so minimising your energy bill. 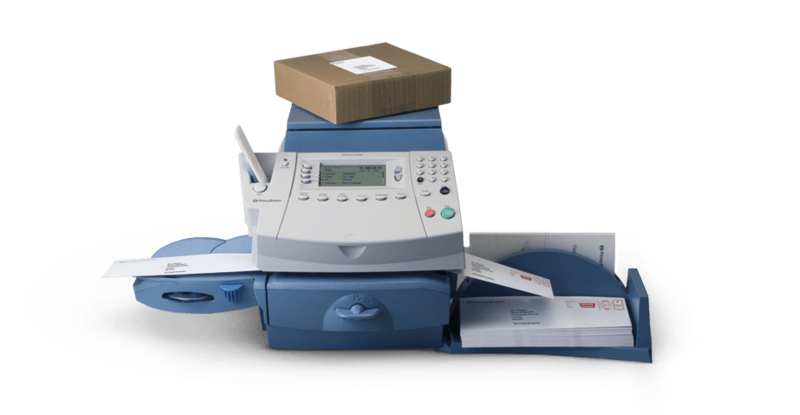 The AS280 digital franking machine franks the correct tariff on each letter and parcel every time, so postage costs are kept to a minimum. Re-credit your machine at the touch of a button. Get up to 55 days free credit by taking advantage of Purchase Power, our post now and pay later service. The AS280 satisfies all current postal regulations, and the technology’s flexibility makes the AS280 adaptable for the future.